Beauty, Comfort and Style... The essence of a home designed by Linda Point Offering residential and light commercial interior design and decorating service. At Karen Beckwith Creative we offer full service, creative interior design including color selection, custom textile designs, furniture design and more. We work with you to achieve your dream home! Balanced Interiors is a comprehensive interior design company that focuses on designing aesthetically pleasing interiors that promote health and well being. Susanne St. Pierre is a trusted expert among New England homeowners, with a sterling reputation among her clients and fellow designers. Known for her strong creative eye and attention to detail, Susanne's thirty years of experience, numerous awards, and large collective of returning clients are true testaments to her work. To work with Susanne is a truly one-of-a-kind experience. Whether you are in need of custom window treatments, blinds, shades, or color consultation, SSP designs will ensure that your window treatment ideas and dreams are realized. By reading the many positive reviews on SSP Designs' Houzz page, you are able to see why most clients continue to work with her for many years beyond the initial consultation. For inquiries, consultations, and questions, please contact Susanne at 401-451-7708, or email SSPDesigns@Verizon.net. Visit our Showroom for 10% off! For over 30 years we have been committed to providing exceptional customer service through our knowledgeable and dedicated staff. After having been in the home design industry for over 20 years, Kim Peterson contributes her success to her relationship with her clients. She feels genuinely blessed to be following her passions and using her skills and creativity in her career. She loves working with homeowners and seeing their excitement and pride in how wonderful their home looks after the completion of a project. She feels that the most gratifying thing about her job is helping people to create the home they have longed for, or transforming an ordinary space into something special. Kim's client base spans throughout New England to Florida. As a result of her experience in such a variety of places, she offers numerous decorating styles and can guide you into a direction that you would never have been able to imagine. Kim has earned her Bachelor of Arts in Textiles and Design from the University of Rhode Island and continues to attend conferences and industry seminars across the country. Our mission is to be the best construction company in the area we serve through our integrity and commitment to quality. As owner and designer of Insperiors, LLC – a Rhode Island based full-service residential interior design firm, Nathan J. Reynolds is passionate about all things design. Nathan incorporates his keen sense of timeless design principles and being selective with product trends—two important traits that set him apart. Nathan’s goal with every client is to help them Get Inspired—and have fun when designing their dream space. For the past 7 years, he has created numerous residential designs and remodel projects, specializing in kitchens and baths throughout New England in Rhode Island, Massachusetts and Connecticut. Upon graduating from Wentworth Institute of Technology in Boston, Massachusetts in 2010, Nathan received his Bachelor of Science degree in Interior Design. Nathan earned the Certified Aging-in-Place Specialist (CAPS) designation by the National Association of Home Builders (NAHB) in February 2013. Nathan is a 2016 recipient of the National Kitchen & Bath Association’s NKBA 30 UNDER 30 award, which recognizes design professionals in the United States and Canada as outstanding professionals in the industry under the age of 30. Nathan particularly enjoys the DESIGN + BUILD process of working with clients on remodeling projects—from defining the scope and finalizing the budget, to identifying the fun and exciting decisions and guiding material selections prior to the installation phase. In 2012, he was awarded GOLD for the Residential Kitchen design category between $100,001.00 - $150,000.00 at the Contractor of the Year (CotY) 2012 Awards, Eastern Massachusetts Region by the National Association of the Remodeling Industry (NARI). He’s won “Best of Houzz” in the Design Category consecutively in 2017, 2016, 2015 and 2014. Nathan was featured in 3 Houzz design articles; “Bathroom Workbook: How Much Does a Bathroom Remodel Cost?” March 2014 and “The Top 10 Houzz Articles of 2014” and “15 Design Tips to Know Before Remodeling Your Bathroom” both January 2015. Nathan spoke as part of the “Voices From The Industry,” series at the Kitchen & Bath Industry Show, KBIS 2017 in Orlando, Florida where he presented on social media in the kitchen and bath industry: “10 Things to do Weekly to Increase Your Social Following.” Most recently, Nathan was featured on HGTV.com in January 2017 in the article “15 Stylish Home Bars Squeezed Into Small Spaces” for 2 wet-bars he designed. With over 25 years of experience in design, Kim Peterson of KEP Designs offers fresh and innovative ideas for all of your Interior Design needs in Rhode Island. We offer a variety of interior design services to suit every budget and concept. Our services include a full-home or office design, individual room design, color consultations and home staging. Digs Design Company is about superior design with a strong client focus. The firm was launched by Jocelyn Chiappone. Jocelyn trained at Rhode Island School of Design. She launched Digs Design Company to realize her passion for generating spaces that are both livable and extraordinary. Jocelyn’s experience has lead her to focus on designing rooms that bridge the classic and the modern, the vintage and the eclectic, the elegant and the savvy. Her work has been published in Rhode Island Home Design ( cover) Rhode Island Monthly and Southern New England Home( Cover) . Jocelyn listens to the client’s needs and applies her design expertise to create beautiful spaces that are ideal for living. She brings exquisite color and bold patterns into rooms that need to be awakened. In addition, she incorporates soft pallets where fine silhouette and texture outshine color. The question that begins every project is what is the client hoping to achieve: a space infused with brightness and energy or a peaceful respite from the outside world? Digs Design Company services the New England area, working closely with architects and builders to artfully transform homes through small projects as well as large scale renovations. 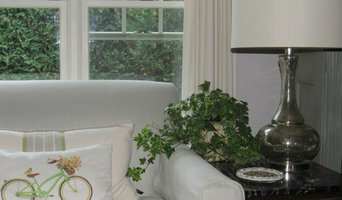 Digs Design Company ~ creating timeless, breathtaking spaces for everyday life. 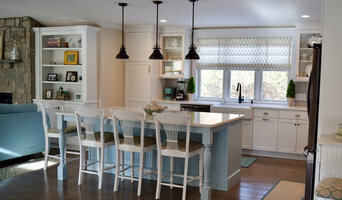 C. Kramer Interiors is a full-service interior design firm located in Stonington, Connecticut serving clients throughout New York, New England and beyond. Led by principal designer Cindy Kramer, the portfolio of C. Kramer Interiors encompasses a diverse range of projects that include country estates, urban dwellings and sun-drenched coastal homes. Cindy’s experience as a fine artist translates to a mastery of color and texture. A native New Yorker and a graduate of Parsons The New School for Design, Cindy creates beautiful, peaceful interiors that elicit joy. Cindy Kramer has a loyal client base who turn to her time and again for her vision and expertise. Her ability to connect with her clients and deliver distinctive, exquisite results is evident in the Best of Houzz Awards she earns year after year. From complete home renovations to small scale decorating projects, Collected Spaces provides clients uncompromising style and functionality down to the smallest detail. At Collected Spaces we partner with our clients to fuse the past, present and future into a choreographed expression of their dream home. Our approach helps you meet today’s needs while anticipating how your future ones may evolve. It is based on intelligent use of materials and space to create a design that's absolutely right for you. We pride ourselves on listening and helping you get everything you want out of your renovation, design or decorating project. So when your plan comes to life, you’ll have a place that you're proud of. A place where people are welcomed and memories are made; the final pieces that transform a place into a home. The work of a professional can make all the difference. Whether your home has 10 bedrooms, or your apartment is 800 square feet, it can be tricky to create a cohesive look that is representative of your style. That's where a local Narragansett Pier interior designer comes in. A home decorator will help distill your tastes and ideas into a design that suits the needs of your space. Whether you need help creating a functional space plan, rearranging existing pieces, designing the inside of a new home, or simply sourcing amazing furniture and decor, seeking the help of professional interior designers and decorators in Narragansett Pier, RI is a must. A good home design professional will hone your style down to its very essence and be able to choose a functional layout that feels natural to you. Interior design companies can be involved as much or as little as the client desires. 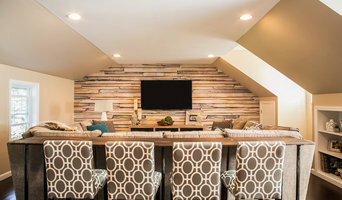 Many clients who hire an interior decorator in Narragansett Pier, RI — particularly those who are remodeling — have a good sense of how the room should look and what products they should use. Often clients will insist that interior decorators use the products already present in the house. Other times a designer will need to start from scratch — especially if this is a newly purchased or just-built home. An interior design company will need to figure out exactly what the client needs, which includes organizing rooms, picking flooring and wall colors, and finding furniture to complement it all. Sometimes that means he or she will have to recruit help from other Narragansett Pier, RI home professionals to help create the perfect look for your renovation. Here are some related professionals and vendors to complement the work of interior designers & decorators: Architects & Building Designers, General Contractors, Home Builders, Design-Build Firms, Photographers. Do your research before meeting with an interior designer or home decorator in Narragansett Pier, RI. Ask yourself what you want your space to become and what it will be used for. Figure out the extent of what you need help with, what your must-haves are and what your budget is. Interior design services can add up fast, so be up front with a potential design firm or individual from the beginning. Also, pick an interior decorator that fits your style. Browse through the portfolios of different Narragansett Pier interior design firms and decide if you would live in those houses. Just because you like something doesn’t mean you could live in it. There's a big difference! 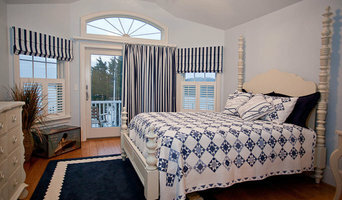 Find an interior designer or home decorator in Narragansett Pier, RI on Houzz. Narrow your search in the Professionals section to find Narragansett Pier interior designers near you. You can also look through Narragansett Pier, RI photos to find a room you like, then contact the design firm who designed it.